WSJ: "The Next Chinese Trade Advantage: Professional Golfers"
Thanks to reader John for Brian Costa's overview of China and golf as Shanshan Feng is the top-ranked female player and Haotong Li continues to progress, entering The Masters as the highest-ever ranked Chinese golfer (No. 41). 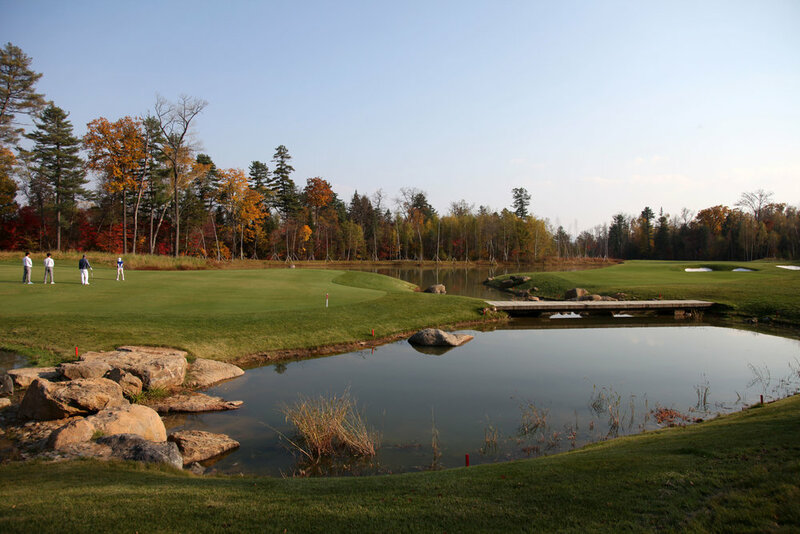 However their success seems unlikely to sustain the Chinese game as long as courses are considered illegal, a minor glitch in golf's grand plan to profit on the creation of overpriced, overbuilt courses. But the obstacles are greater in China, where more than 200 courses have been closed as part of President Xi Jinping’s war on government corruption and gaudy symbols of wealth. Fewer than 500 courses remain in the country. Gareth Winslow, a New Zealand-born golf coach who works in Shanghai, lost two jobs in recent years when a course and a driving range where he worked were abruptly shut down. “The bulldozers come in and just knock everything down, so there aren’t a lot of options after that,” he said. With her third win at the LPGA's Blue Bay event on Hainan Island, Shanshan Feng becomes China's first player to top a world ranking. The bronze medalist in Rio understood the gravity of her win and also made light (at least in my reading) of the chaotic, course-closing, anti-golf madness that is hurting golf in China. Feng, a bronze medalist at the 2016 Olympics, closed with a 70 at the Blue Bay LPGA event on Hainan Island to win by one stroke over Moriya Jutanugarn. The elder Jutanugarn sister lipped out a short birdie putt on the final hole that would’ve forced a playoff. Earlier this season, Ariya Jutanugarn became the first player from Thailand to reach No. 1. It's tough to fully grasp the Chinese government's ratched-up war on golf, but as The Telegraph's Neil Connor writes, one state school in Shanghai is teaching golf as an important social skill developer. And now other state schools are following suit. Jingwulu Primary School, in Jinan, in the eastern Shandong province, introduced the sport to “foster children's strong determination, self-discipline and manners,” headmistress Ji Yankun said. “I don’t think I am being over dramatic in calling it a gentleman’s sport, as there is so much good etiquette involved,” she told The Telegraph. The school has installed practice nets in its grounds and drafted in coaches from Shandong Gold Golf Club to provide compulsory training to nine-year-old pupils. The golf club is also consulting with four other schools to roll out the training across the province. “Many children have fallen in love with the sport, which has been called 'the green opium',” said Shandong Gold's Jiang Chunqiu, using a phrase which is often used in China to portray golf as highly enjoyable, but a dangerous foreign import. Well it can be addictive. Gabriel Wildau reports for the Financial Times on the Chinese government has declared "illegal" two golf courses owned by the powerful Dalian Wanda Group. The FT storys says this is part of "a campaign against luxury and waste ahead of a Communist party gathering that begins in Beijing this week" and continues the trend of high profile attacks on golf in China. Given the Wanda Group's international standing, even if the move is targeting the group for non-golf reasons, it appears to be yet another blow for the game in China. The move is a blow to Wanda’s tourism and entertainment ambitions as the group seeks to diversify from shopping malls. The government of Fusong county in China’s northeastern province of Jilin has revoked permission for the two courses there, according to a notice dated October 1 seen by the Financial Times. Wanda is one of a group of privately owned conglomerates, including HNA Group, Anbang Insurance Group, and Fosun International, that have come under scrutiny in recent months, with a particular focus on their overseas acquisitions. Wanda chairman Wang Jianlin tumbled from his position as China’s richest man, according to the country’s best-known rich list released last week, falling to fifth place in this year’s Hurun ranking. 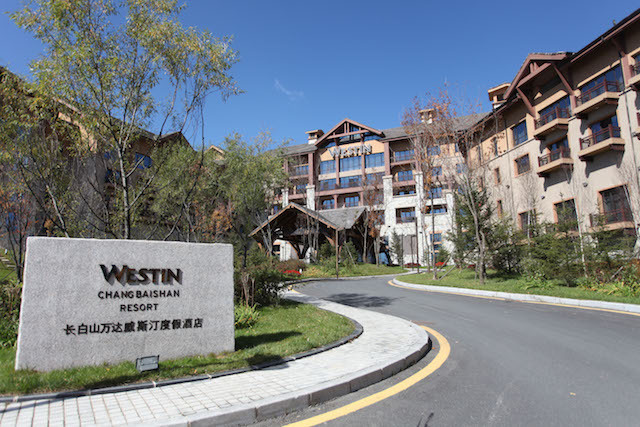 The ChangBaishan International Resort facilities cited include one 18-hole Jack Nicklaus course and 36-holes of Robert Trent Jones designed golf. Also on site are several thousand hotel rooms, including a Sheraton, Hyatt, Westin and Holiday Inn(s). Golf photographer Patrick Lim kindly shared some images he shot of the courses and facilities, which I think better illustrates the significance of the closures. Thanks to reader John for Wayne Ma's WSJ story on the latest blow to golf's China hopes. PGA Tour China has struggled with the business practices of its China operations partner and has also been unable to get Chinese tournaments approved for its upcoming season, due to begin in May. The game was banned by Mao Zedong as a bourgeois pastime, and more recently nearly 200 golf courses have been closed amid President Xi Jinping’s campaign against corruption by government officials and ostentatious displays of wealth. The PGA Tour came to China with high hopes, seeking to expand the game’s popularity and perhaps find a breakout star who could do for golf what Yao Ming did for basketball. And there was this from Shanghai University professor Liu Dongfeng on China's Olympic aspirations likely not including golf. Seeing the potential for economic returns, China is now moving to make sports more of a commercial enterprise, he said, phasing out the old system where a government office is paired with a quasi-government association. Liu said soccer was the first sport to abolish its government office in 2015 and basketball appears to be next, with Yao this year becoming the first head of the China Basketball Association not drawn from government ranks. Stranger things have caused trade battles and even wars. I'm glad the president is busy in meetings today! Anyway...in the exhausting, boring but predictably goofy saga that has been the dream of golf in China, the Communist Party is cracking down...again. AP's Nomaan Merchant reports on the order of 111 courses ordered closed "to conserve water and land" while Party members have been reminded not to play golf. Again. "The PGA Tour Sells Golf To China"
While the Volvo China Open didn't sport the greatest field in the tour's history, a tip of the cap to HSBC for getting to see the first European Tour winner from its CGA-HSBC China Junior Program, the only sanctioned program for aspiring players in the country currently hostile to the game. "Grow the game" has become a tired and obnoxious phrase wheeled out way too often in the name of trying to justify greed or pandering, but when the results are tangible like this, I say let 'em pat themselves on the back. Especially after Haotong Li contended at last fall's WGC-HSBC Champions event in Shanghai and looks to be headed toward big things. As Will Gray notes at GolfChannel.com, with this win Li likely vaults into the top place for one of China's male Olympic golf exemptions. Thanks to reader Tom for Tom Phillips' Guardian piece on the Communist party of China issuing new thoughts on golf via articles in party-controlled media. Phillips is working off a translation of this story. “Since it is only a sport, there is no right or wrong about playing golf,” an article in the Discipline Inspection and Supervision News, the official newspaper of China’s anti-corruption agency, declared. The newspaper pointed to article 87 of the Communist party’s disciplinary regulations which deals with potential punishments for the illicit possession of golf membership cards. “Playing golf itself is not a wrongdoing,” the newspaper confirmed. Just a few weeks ago a course that had been approved and deemed environmentally sound was destroyed in a bizarre show of force against golf. The course in question--Orient Shanghai--had been approved for creation, passed the Songjang EPA tests and even hosted the LPGA Tour. Yet as a reminder that golf is symbolic pinata for the Chinese government, the course was demolished in dramatic fashion last week. Orient Shanghai, the long-time host venue of the Shanghai Classic on the China LPGA Tour, was constructed adjacent to the upper Huangpu river off the Dagang exit of the Shanghai-Hangzhou highway. Previously, temporary fish farms occupied the site that was prone to flooding in the rainy season. While club officials declined to talk about the matter, the reason for its closing is that the Huangpu is Shanghai’s source of drinking water and golf is seen as a pollutant. The government wants to see farming on the land that the course occupied. Even though it's been polluted by the Royal and Ancient? But according to an environmental study conducted by the club, local farmers use 20 to 30 times more fertilizers and pesticides than Orient Shanghai in its course maintenance. The irony of the club’s closure is that it went through the full Environmental Protection Agency permitting process and passed every test required by the Songjiang district EPA. Golf in China...it sounded so good on paper, too. Storied Wentworth Club, host to the annual BMW Championship on the European Tour and once home to an H.S. Colt-designed course, has seen major changes announced by new Beijing-based owner Chanchai Ruayrungruang (bless you control C and V). But not since October have we heard where the fight might be headed. After having brought in the Foreign Secretary to no avail, the old guard membership that new owner Reignwood wants to move out to be replaced by 800 or so mostly international members, has received a 15-page letter, reports The Guardian's Nazia Parveen (thanks reader Tom). The letter claims the planned changes to the club’s membership would breach a legal trust agreement in place for 50 years, contravene consumer and equality laws, and possibly even break Chinese laws on joining golf clubs. Wow. Invoking the Community Party ban on golf club membership. Digging deep! Lawyers also argue that the proposed “exclusive membership” could be in breach of Chinese law. Campaigners have claimed that such practices are forbidden in China. Looks like the grow the game intiatives may need to look beyond China, as reports say the Chinese Communist Party has banned all 88 million of its members from joining golf clubs. Thanks to everyone who sent the unbylined BBC story on the party updating is "discipline rules," which also targeted things like extravagant eating and drinking and abuse of power. And golf club memberships. The new rule on golf states that members are banned from "obtaining, holding or using membership cards for gyms, clubs, golf clubs, or various other types of consumer cards, or entering private clubs". If caught, members could either receive a warning or be removed from the party, depending on the severity of the violation. With Tiger Woods slated to announced his big Beijing design job on April 23rd, the recent stories out of China about golf crackdowns figure to make the wording of that announcement extra fun! Washburn penned this CNN piece during Masters week with more insights into this utterly bizarre situation that has the government shutting down courses and politicians, but also funding golf because of its place in the Olympic Games. Tiger Getting $16.5 Million For Two China Design Projects? That's what Josh Sens at golf.com says. The funniest part? The developer, Pacific Links International, confirms and even produces a boilerplate quote from Woods. And Tiger's spokesman Glenn Greenspan? No comment. Asked about the Beijing project, Tiger spokesman Glenn Greenspan said that Woods had nothing to announce at the moment. Pacific Links executives did not respond to questions about the financial terms of the deal. It's still illegal to build a "golf course" in China where construction has been in full stop mode according to Dan Washburn (and others who, so maybe Team Tiger is just trying to avoid being seen as breaking the law? **John Strege talks to Golf Digest China's David Lee to try to understand what Tiger will design or redesign with a moratorium on course construction in China. “It’s all very, very confusing,” Lee said. We talked about the latest Tiger design news on Morning Drive. WSJ: "Golf, as it’s now played in China, doesn’t have a promising future." It'll come as a massive shock that the hyper-expensive, uber-gawdy, totally-unsustainable version of golf exported to China appears to be slowing down. Just a few months ago, members of a newly opened Jack Nicklaus signature course in the Beijing suburbs woke up to discover the venue had been ordered shut amid a government audit of all of the city’s clubs. It was allowed to reopen after a few weeks, but only for members, not their guests. A nearby club didn’t get off so lightly: it had to plow up its immaculate greens and close permanently. This isn’t a passing shower. Golf, as it’s now played in China, doesn’t have a promising future. Browne cites Dan Washburn, guest on State of the Game and author of the best golf book of 2014, as his background for golf's history in modern China. But during my recent two weeks in China, I encountered more pessimism and uncertainty from those in the industry than ever before. Everyone quoted the rumor that up to 100 courses would soon be shut down, a process that perhaps got kickstarted with the closure of a handful of courses this summer. Beijing then, as it had a handful of times over the previous decade, reiterated its oft referenced but rarely enforced ban on golf course construction. It did so again just this week. Things do appear to be ratcheting up. What to make of it? Who knows. Maybe this is truly the end of the boom. Maybe it’s just another bump in the road. Either way, it seems a good time to share with you a recent email I received from a China golf course industry veteran. That email is worth checking out (many paragraphs). And as you might suspect, all of the reasons for the slowdown were predictable.